Over the years BPMN, or ‘Business Process Model and Notation’, has seen widespread use across multiple industries. A visual language, BPMN is designed to help users create graphical representations of complex business and IT processes. Given the increasing complexity of modern businesses, having a simple yet holistic perspective of your operations can make it much easier to maximize their effectiveness and make the best decisions possible for organizational change. In this video, Mike from Good e-Learning provides a brief overview of BPMN 2.0, the makeup of BPMN diagrams and the value of BPMN tools. Good e-Learning is a leading online training provider, not only for business process modeling courses, but also enterprise architecture, IT service management (ITSM) and more. Our BPMN 2.0 Foundation & Practitioner (level 1 & 2) course offers a comprehensive look at BPMN 2, not only introducing students to the graphical language but also showing them how to apply it to real-world organizations. Students can enjoy 24/7 tutor support, as well as mobile accessibility to ensure that they can access the course any time, anywhere. 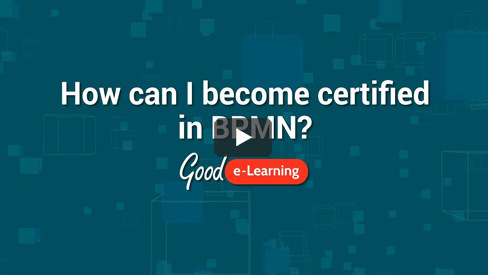 Want to find out more about how Good e-Learning can upskill you and your staff in BPMN? Browse our full portfolio of Business & IT courses or visit our FREE downloads area for a wide range of posters, whitepapers, case studies and more from leading industry experts.